It rained for the first time in my town yesterday, and strangely, it seemed to rain in many others’ towns as well! Maybe the rainy season in Animal Crossing is upon us. Also, my tree has grown a bit since I’ve last shown a picture of it. 🙂 It actually grew the day I got access to the island (not sure if that’s what influenced the tree’s growth, or if it’s just a coincidence). My growing, but still bitty, tree soaking up the rain. My new (but familiar) neighbor, Elmer. Later on that day, I experienced my first WiFi troubles with New Leaf (other than the standard crash in the middle of a session). WiFi kept crashing when I was trying to board the train to one friend’s town, and when I tried to visit Liam’s town, I got an error code, which I googled and discovered that many other AC:NL players were having problems with as well. I wanted to check to see if my WiFi was working at all, so I opened my gates to see if anyone could come over to my town. After looking around and meeting some of my neighbors (sorry, not much to see or do in Citàlune yet! hope it’s more interesting one day), we went off to the island together. She was even kind enough to pay for the trip! We didn’t do any tours, but we hung out on the main island for a while and caught some good stuff. I even caught something new for my encyclopedia and museum, a blue marlin! But the view got gloomier as we approached my town. Woah, she gave me an axe! Thanks so much, I’ve been wanting one! 😀 And I hope you’re able to get a replacement for it soon! I forgot to take pictures after this! When there are three guests in town, there’s a lot of chatting to keep up with (and the chat bubbles go away very quickly in this game). We were heading to the town tree when WiFi crashed all of a sudden, but fortunately I saved after the catalog trading, phew. 🙂 I decided not to open again because I felt like we were going to be wrapping up the session soon anyway, and I’d been playing for a good few hours. Hope that didn’t cause any confusion! I’m going to start trying to collect the mermaid series. It’s pretty, and it’d be nice to have any sort of matching furniture at this stage. I also built my first community project last night! I’ve built another on the other side. I put these benches here hoping that they might prevent villagers from moving too close to my house. I don’t know if it’ll work, but it’s worth a try! These will eventually be demolished; I’ve seen other benches (that I haven’t unlocked yet) that will match the feel I want for my town better. All of a sudden I got my first hybrids today! 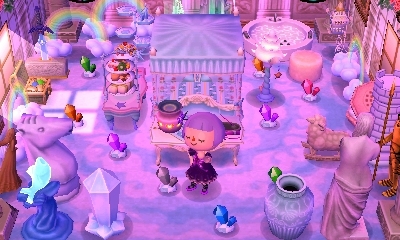 And as you can see, I’ve made a lot of changes to Violet’s house. 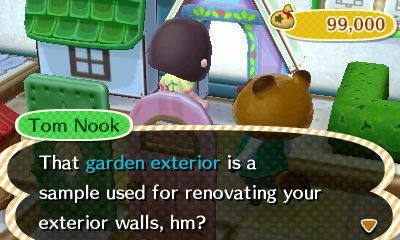 I think this floral/garden wall is perfect for her, but the door, mailbox, etc. will probably change. Also, some of the decorations on this wall aren’t visible right now because of how small the house is. And why not expand Estel’s too while we’re at it? It looks like Sable might be starting to warm up to me a bit. 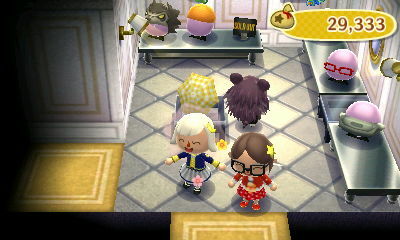 Posted on June 17, 2013 by Amy •	This entry was posted in AC:NL, AC:NL WiFi, Citalune and tagged Animal Crossing. Bookmark the permalink. ← Day 6: Island open! Also how do u post those pics? Are they actually the ones from your 3ds? Ah okay, I look forward to getting that shop upgrade then! Yep, they’re just the standard pics you take with L+R and transferring them with an SD card. How do you transfer it with an sd card? Oh, I thought you knew how to do this because you have some great pics on your blog! L+R takes a picture, so as you’re playing you can take pictures over and over. When you’re done playing and have powered off your 3DS, you can remove the SD card from it . It should be in a little compartment labelled ‘SD.’ Then insert the SD card into your computer and import them. When I insert mine into the computer, there’s a pop up that gives me the option to import the pictures, so I select that option (along with ‘erase when finished’). 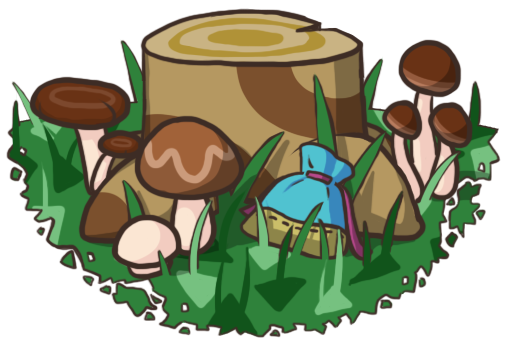 About the town tree, I also unlocked my island today so I went to check if mine has grown as a result and it hasn’t, I guess it’s growth cycle must be based on the time period played rather than on the events that occur in town. I’ve also been suffering from the rain recently. 😆 Well, the rain was a welcomed change after day-on-day sun, but it only lasted a few hours and now my town seems to be constantly hidden under grey clouds. 😦 Let’s hope the sun bursts through soon! Ohh okay, that’s interesting. I don’t think we should be too worried for the growth of our trees, I’m sure if we keep playing it’ll get huge eventually. 😀 But for a little while there I was feeling left out, it seemed like everyone else’s town trees I visited were bigger than mine! I agree, that’s also how I feel; it was nice to see the rain at first, but I’m at my third day in a row now. T_T It would be nice to see bright blue skies and wispy white clouds again! My town tree’s about the same, it’s been like that for a while! I wish it would grow faster, but it will eventually be huge, I guess. I know! The rain is being a huge pain! Even in Ireland, it’s not raining! (We have a bit of a reputation for rain) I go to the Island every day, and I wish my town had weather like that, because everyone’s sick of rain on New Leaf at the moment. I’ve been googling New Leaf Internet problems, and it seems that it’s a bit of an occurence. I hope Nintendo release a software update or something, becuase nobody seems to know exactly how to fix it. But I think that it was my Internet not allowing you to come over last time, because I got the Dream Suite and it has no problem letting my use it to connect to the Internet and go out. So maybe next time I should try go over to you. If that doesn’t work…I don’t know what to do then. The only advice I could find was stuff like re-starting the router (didn't feel like doing that, my internet is working fine) and getting as close to the source of the connection as possible, which I did. But yeah, it sounds like your connection in general is working with stuff like the dream suite, so I hope it works next time! Things sure look dreary in the rain -_- I can imagine spending a whole afternoon on the island just to escape it for a bit. I feel as though dusk and nighttime have a greater influence on visibility too than before… I was really squinting hard to check town hall colours while resetting at night. Wow, we definitely wouldn’t have been able to get a full house like that in WW 😮 I was opening my gates today and noticed the new feature where Porter tells you that your friends have open gates too, and asks whether you would like to visit rather than invite. That’s really useful! Oh my gosh, congratulations on catching a coelacanth already! 😮 Hahaha, I love that description.